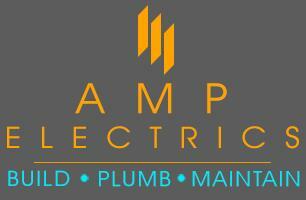 AMP Electrics - Builder, Electrician based in Clacton-on-Sea, Essex. AMP Electrics are fully qualified NICEIC registered electricians with over 15 years experience. On top of that we consider ourselves to be experts in plumbing, building and smart home technology. We pride ourselves on our work and love seeing the jobs completed. Have a look at our gallery for pictures of everything from Kitchens and Bathrooms, to Roofing and Flooring. AMP Electrics provide an extensive range of maintenance services. Our highly trained electricians, plumbers and craftsmen are on hand to make sure your project runs smoothly and with as little disruption as possible. Whether we are working in your home or in a commercial environment AMP Electrics have the tradesmen, skills and knowledge to deliver the best quality of work. We guarantee to look after your interests and always put you first. Our approach to business is the same as its always been - trust, honesty, hard work and integrity. We promise to be punctual, deliver high standards and cause minimal disruption. Keeping standards high, tidying up after ourselves, being friendly and competitively priced keeps us at the top of many customers call lists.